Radford University College (RUC) is organising a graduate fashion show to showcase the skills of degree students at the Fashion Design Department of the University in Accra next month. As the premier university to offer a degree course in fashion-design, RUC sees it as an integral component in its curricula. The new Executive Chairman of the university, Nana Dwomoh Sarpong at a media briefing at the university campus, said the occasion will be a platform for promoting new talent for a future of creative design and bridging the gap between graduation and employment challenges facing many graduates. 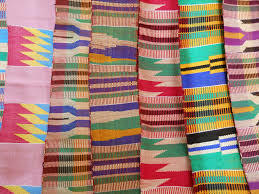 Nana Sarpong said there is paradigm-shift of our culture by way of our attire to foreign dress, and said this is going to be the genesis to restore that cultural value by way of exporting new fashionable Ghana-made attire to some emerging markets and also meet the AGOA quota of exports to US markets. Nana Sarpong explained that RUC’s main objective is to produce entrepreneurs to take up their own businesses after graduation, and also to be able to market these products abroad. He said the fashion degree students numbering 88 — with some coming from Dubai, Nigeria, Togo, Cote-d’Ivoire and Benin — attest to the fact that RUC, which is affiliated to the Kwame Nkrumah University of Science and Technology (KNUST), has been recognised by foreign countries. He said the students have shown a lot of commitment and zeal, which has reflected in their output. The graduate fashion show, he said, brings a unique international presence into the Ghanaian creative industries to enable it to thrive. The event is sponsored by Ecobank and Vodafone, and the university has relocated to its 7-storey-building campus at East Legon in Accra.